An incubator center for technical, technological and mechanical businesses debuted in Ho Chi Minh City on August 4. The center is open to those from universities, institutes and businesses, as well as entrepreneurs and start-up clubs, particularly those working in technical, technological and mechanical areas. 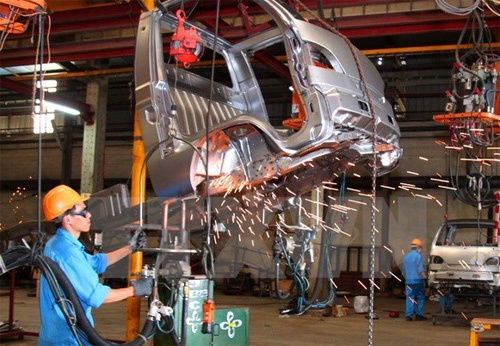 The project is under the auspices of the Vietnam-Finland Innovation Partnership Programme (IPP), the Ho Chi Minh City chapter of the Vietnam Chamber of Commerce and Industry which coordinated with the Alliance of Mechanical and Technological Businesses and the Hoa Sen Vocational College. Lauri Laakso, advisor to the project, said the center aims to improve Vietnam’s innovation capacity, particularly in major cities, adding that it offers various kinds of support in expertise and funding for start-ups. In late 2016, the project will expand its support to various sectors, he said. In the first phase, applications should be sent to the center no later than September 4, 2016./.